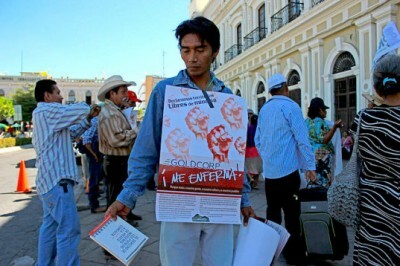 A Guatemalan protestor was beaten and burnt to death after he dared to speak against the Marlin gold mine, which is owned by Canadian company GoldCorp. 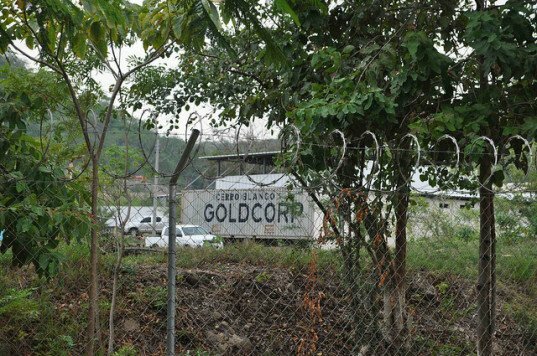 The man, who was a member of an indigenous tribe, was reportedly killed by workers from the company who doused him with petrol before throwing a lit match onto his body. This is not the first controversy that has hit the Marlin mine. When it was first constructed, there were multiple protests from local farmers. In December 2004, an indigenous group from Sipakapa began a 42-day blockade of Glamis trucks passing through their community on the way to the mine, but the blockade was ended when more than 1,200 soldiers and 400 police agents began firing at unarmed protesters, resulting in the death of an indigenous farmer, Raul Casto Bocel. This latest death is part of a decade-long struggle for local communities to protect themselves from the mine and its impact on the region. The stories are shocking with tales of intimidation, threats, social division, violence, bribery and corruption of local authorities, destruction and contamination of water sources, not to mention forest clearing and appalling health impacts such as malnutrition and skin diseases. When asked about other controversies, The Guardian was directed to a website where “you’ll find common myths that have been exposed repeatedly as falsehoods.” I think the Guatemalan locals would disagree.